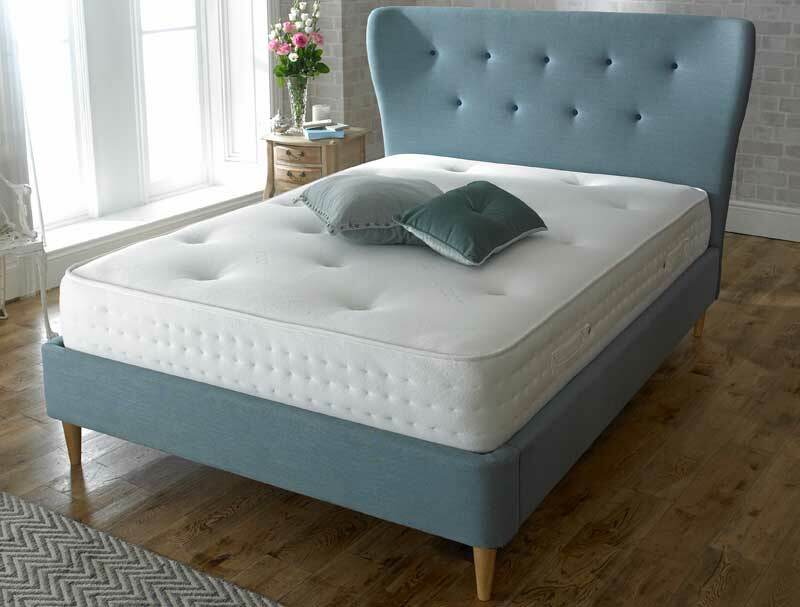 The Aurora is a stylish new Boutique style fabric bed frame that offers a curved buttoned headboard and low end to the frame , it has been made in a chic duck egg esme blue fabric and sits of the floor on oak tapered feet. The Aurora has a tall hotel style headboard with curved sides and contrasting butoon detail . The frame comes with a sprung slatted base and is available in 3 sizes Double, King and Super King. We have added a option of a mattress from Vogue beds to the frame as both items can be delivered at the same time , there is a choice of 3 mattresses to choose from. 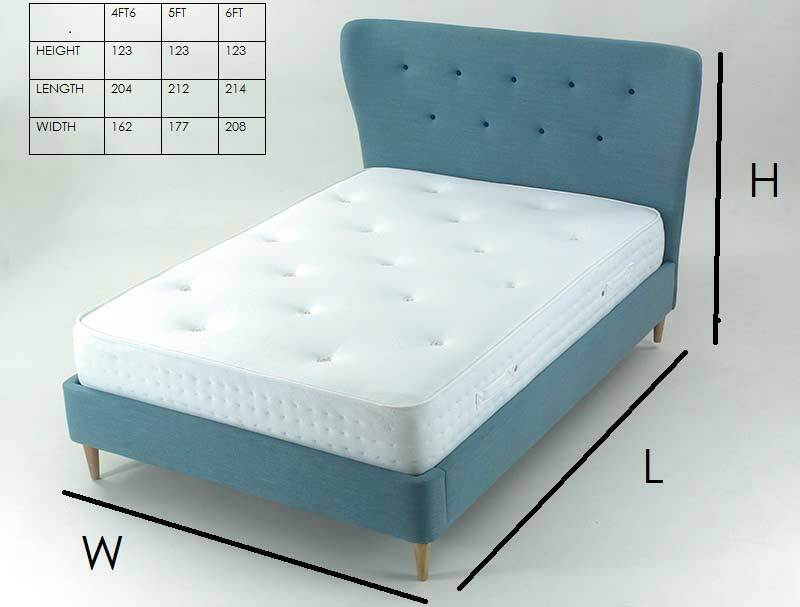 This bed frame like all Limelight bed frames is sent direct from Limelights uk warehouse direct to you normally for delivery free of charge in 7-10 working days on a 2 man delivery to your front door by a carefull courier Please note some postcodes like Ab, Dd, Kw, Iv, PA, PH and FK18 + Limelight will not deliver to , so they will need to deliver to us and we will arrange onwards carriage to you on a similar service at a cost of £25 per item.There is no delivery service direct to Isle of Man , isle of wight, Nothern and Southern Ireland or Scottish islands.